Rome, Italy, Sep 16, 2017 / 12:10 pm (CNA/EWTN News).- Fr. 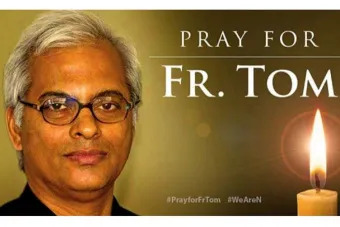 Tom Uzhunnalil, the Salesian missionary released this week after 18 months of captivity, thanked Saturday all those who have prayed and made sacrifices on his behalf, saying he recommits himself to the service of God. Fr. Tom Uzhunnalil, who became known around the world through social media and news outlets as people prayed for his release, spoke to journalists during a press conference at the Salesian headquarters in Rome. An Indian native, Fr. Uzhunnalil, 59, was kidnapped March 4, 2016 from a Missionaries of Charity home in Aden. In the attack 16 people were killed, including four religious sisters. Throughout his 18-month captivity, several photos and videos of the priest were released, showing a thin Fr. Uzhunnalil with an overgrown beard, pleading for help and for his release, saying that his health was deteriorating and he was in need of hospitalization. In the press conference, Fr. Uzhunnalil emphasized that despite the great stress he was under and his inability to move about freely, being kept in one room, his captors did not physically harm him. He was provided with adequate food and water and even some small amount of medical treatment for his diabetes. He went on to explain that if in any of the videos it appears that his captors hit him, it was not a real blow, but acting which they planned in advance, telling him it was to quicken a response from authorities. “The whole world must have been praying, you all might have made sacrifices. The fruits of all (this) must be that they have not injured me right from the first day,” he said. In the press conference Fr. 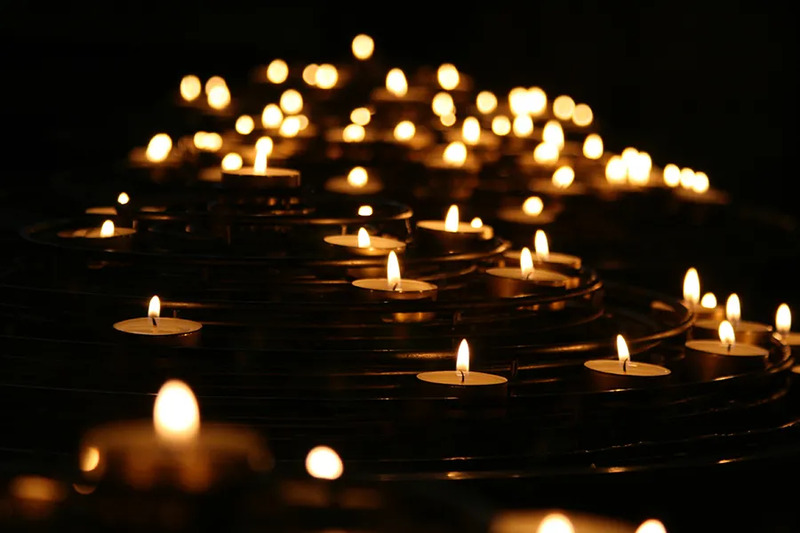 Uzhunnalil was calm, but did become emotional when he noticed the presence of a number of Missionary of Charity sisters, to whom he gave his condolences for the loss of their four religious sisters. “I’m sure they feel the pain of their loss, but their loss is for themselves and for the world; I am sure that these four who have gone are in heaven,” he said. Witnessing the death of those in his presence was a very traumatic moment for him. “He didn’t want to speak about that moment,” Cardinal Oswald Gracias of Bombay told CNA Sept. 14. Cardinal Gracias had the opportunity to speak with Fr. Uzhunnalil soon after his arrival to Rome and was present when he met Pope Francis Sept. 13 after the Wednesday General Audience. In the press conference Fr. Uzhunnalil recounted a detail from the day he was kidnapped. After the initial attack and killings, which took place while they were having adoration in the chapel, the attackers covered his head and locked him in a car, and then left to re-enter the chapel. At some point later he heard them return open the door of the trunk and place something heavy near his feet. His hands weren’t tied, he explained, so he “lifted the cloth, just looked to make sure, and it was the tabernacle.” He knew that it contained consecrated Hosts from the Mass he had celebrated the evening prior. Although he did not have bread and wine with him in captivity, Fr. Uzhunnalil said he was still able to peacefully pray the Mass every day from memory. He said he would pray to God to spiritually give him the gifts of bread and wine for the Eucharist. While in captivity the Salesian lost more than 60 pounds, he said. But in the few days since his release has already gained back more than 11. He will, however, continue to remain in Rome for 8-10 more days for continued medical tests and recovery time before returning to India to see his family. “I thank in the name of the Lord God even my captors who have been understanding to me and have not hurt me,” he said. Comments from Cardinal Gracias contributed by Elise Harris. Brussels, Belgium, Mar 15, 2017 / 12:12 am (CNA).- Responding to the case of a receptionist fired for wearing a hijab to work, the Court of Justice of the European Union has allowed a qualified ban on religious headscarves in the workplace. 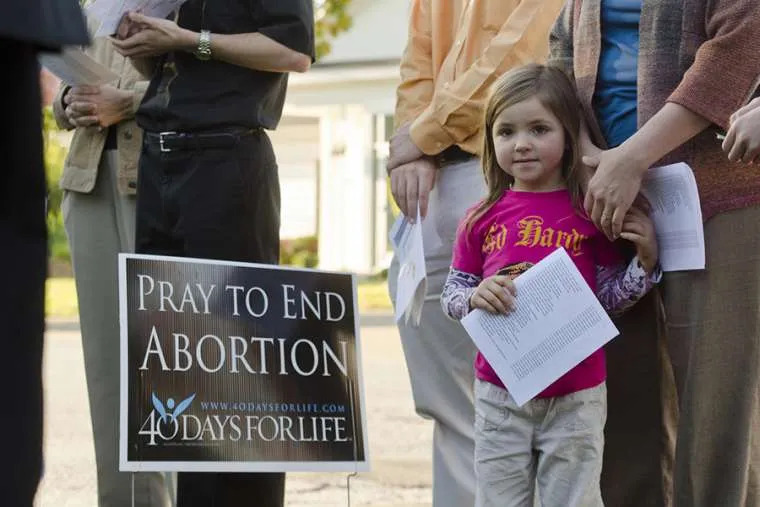 London, England, Sep 13, 2018 / 04:15 pm (CNA/EWTN News).- The British Home Secretary has rejected proposals for buffer zones around abortion clinics throughout England and Wales as disproportionate, after finding that most abortion protests are peaceful and passive. The typical activities of those protesting outside of abortion clinics “include praying, displaying banners and handing out leaflets,” Javid noted. Furthermore, he noted that in 2017, only 36 of the 363 hospitals and clinics in England and Wales that offer abortions have experienced pro-life demonstrations near their facilities. Because the majority of protests are peaceful, enforcing buffer zones throughout the country “would not be a proportionate response,” he said. Be Here for Me, a group of mothers who have received pro-life help outside of abortion clinics and oppose buffer zones, applauded Javid’s decision in a statement on their website. “This carefully considered decision represents the common sense we have been calling for all along. It demonstrates Sajid Javid’s commitment to fundamental civil liberties as well as ensuring that women will continue to be offered much needed help and support. It will mean that people offering this vital support will not be criminalised,” said Elizabeth Howard, spokeswoman for the Be Here For Me campaign. Shadow Home Secretary Diane Abbott, of the Labour Party, denounced the decision as having “given the green light for women to be harassed and abused for exercising their right to choose,” according to the BBC. “This is a disgusting failure to uphold women’s rights over their own bodies. Sajid Javid must urgently reconsider,” she said. The decision to reject nationwide buffer zones comes after the High Court of England and Wales upheld a buffer zone imposed by Ealing Council, in west London, around a Marie Stopes abortion clinic. The zone prevents any pro-life gathering or speech, including prayer, within about 330 feet of the clinic. Two pro-life London women are working to have the decision appealed, including Alina Dulgheriu, who chose to forgo an abortion at the Ealing clinic in question after being offered pro-life support. Dulgheriu told CNA in July that clinics like the ones in Ealing do not offer women any alternatives to abortion. She said out that her efforts to see the buffer zones overturned are as much for the protection of mothers as for children. The other woman in the court challenge has filed for anonymity in the court proceedings. The women, who have crowdfunded more than £40,000 ($52,000) so far for court expenses, have said they are willing to take their appeal to the UK’s Supreme Court if necessary. The appeal is expected to be heard sometime later this year. In his decision, Javid said that there are already laws in place to protect people against intimidation and harassment in public spaces, including the Public Order Act 1986 and the Protection from Harassment Act 1997. Javid noted that England and Wales should support both the right to free speech and individual’s rights to be safe from harassment and intimidation, and noted that the police are free to act in cases where the law has been violated. “In this country, it is a long-standing tradition that people are free to gather together and to demonstrate their views. This is something to be rightly proud of,” he said. London, England, Sep 15, 2017 / 10:39 am (CNA/EWTN News).- After a terrorist attack on a commuter train left more than 20 people injured in London on Friday, Cardinal Vincent Nichols of Westminster decried the act as cowardly and offered his prayers for peace. “I am dismayed at yet another cowardly attack on innocent people, including young children, as they were commuting to work and school this morning,” he said in a Sept. 15 statement. During morning rush hour an impoverished explosive device was detonated on a commuter train at Parsons Green station in southwest London. At least 22 people were taken to the hospital to be treated for injuries, which were primarily burns, local authorities reported. Authorities have reported that a timer was found on the device, indicating it likely was meant for much greater destruction than what it achieved. The incident is being treated by officials as a terror attack, and a manhunt is underway for the perpetrators. This is the fourth terror attack in London this year. In addition to offering his prayers for the victims, Cardinal Nichols also thanked the emergency responders as well as those living and working near the station where the incident occurred who also offered their assistance. Thus far, no group has claimed responsibility for the attack. Glad he’s back, but there’s many questions that need to be answered, including about the 4 nuns who were murdered [let’s hear no more talk of “killings” – they were murdered]. Fr Bob doesn’t want to talk about it but the truth needs to be told. So even though we rejoice at Fr. Bob’s release, there must be no covering up for terrorist murders.